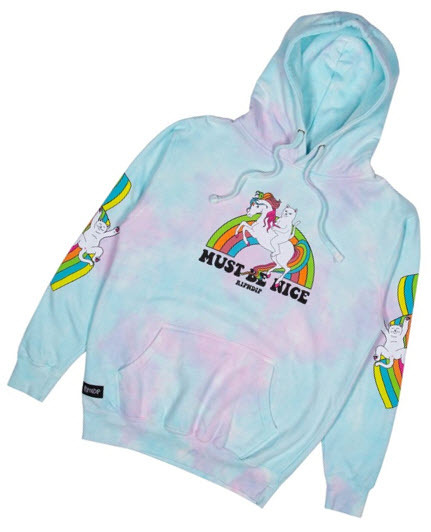 A cotton-candy colored hoodie from the RIPNDIP Spring ’19 collection. 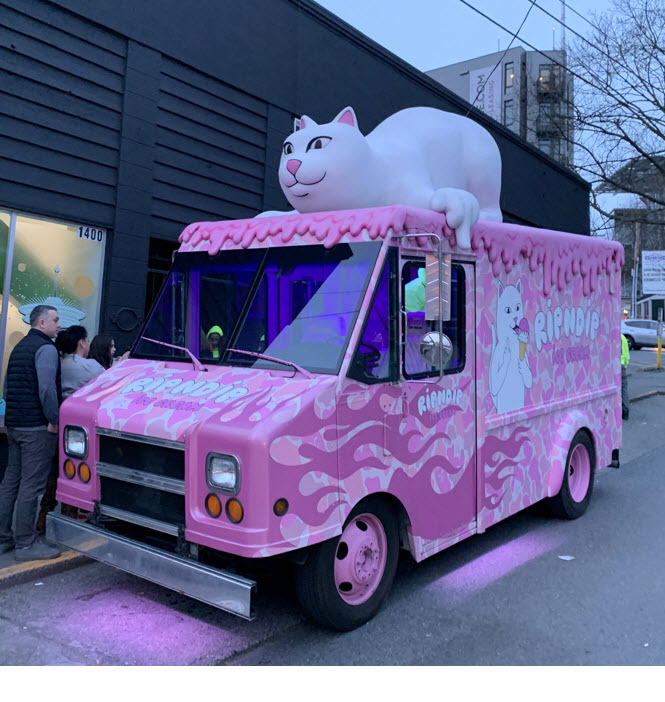 We spotted this ‘RIPNDIP’ ice cream truck on Madison Ave & 14th on Saturday night. The truck was next to a pop-up store space (in the black building next to it), used for selling clothing merchandise. 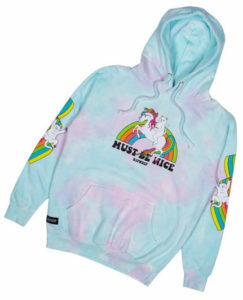 The RIPNDIP brand is originally from Los Angeles, where their flagship store is.